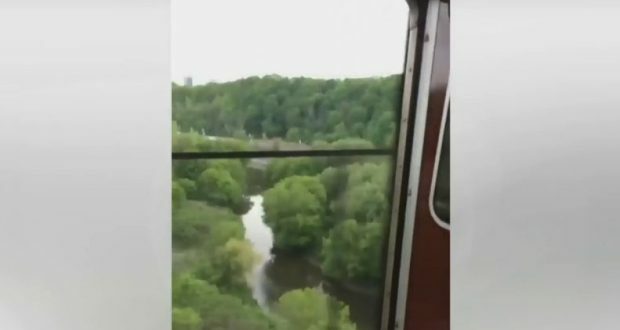 Video footage posted on Twitter showing a subway train crossing the Bloor Viaduct with a pair of its doors gaping open has prompted an investigation by the TTC. Around 6:00pm, a train leaving Castlefrank station heading east to Broadview was unable to close the doors on one of it’s cars as it traveled across the Bloor Viaduct. A passenger caught it all on video. TTC spokesperson Brad Ross confirmed that it happened and that the organization is treating it as a serious matter.